This edition presents basic information on the recognition, biology and medical importance of arthropod vectors of disease and their control. 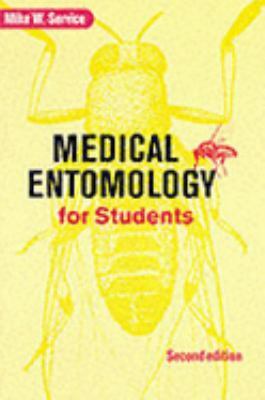 All of the major groups of important arthropods are covered and all chapters have been updated.Service, Mike W. is the author of 'Medical Entomology for Students', published 2000 under ISBN 9780521666596 and ISBN 0521666597. Loading marketplace prices 4 copies from $10.10 How does the rental process work?